This mat has a heat pad inside one corner for self regulation. Thermostat regulates heat to 32-34 degrees Celcius ambient. This is the only mat that offers breathability, waterproof and self regulation of warmth. To set this mat up is very quick, follow the safety instructions. The mattress will heat up in around 5 minutes and will feel slightly warm to touch. 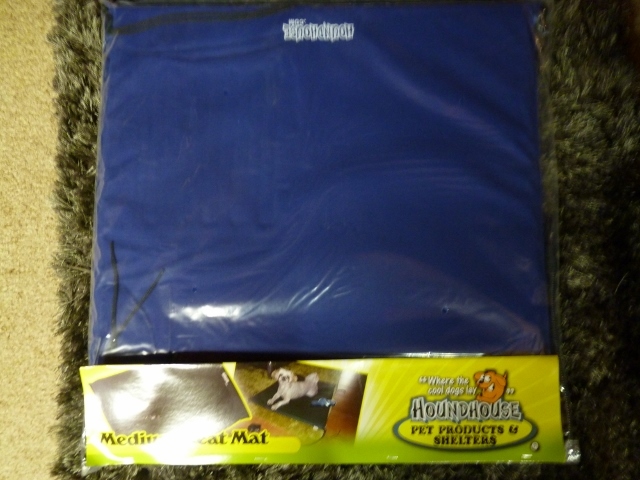 This mat has been made with a smaller area heated and the rest unheated to allow your pet to self regulate their own temperature and ensure no over heating.. The mat can be cleaned with lightly with a brush and soapy water, be careful not to scrub the water proofing off.